Almost one year to the day that #FentyxPuma dropped, RiRi is back with Fenty Beauty, and it’s bringing all the shade — 40 different ones in foundation form, to be exact. 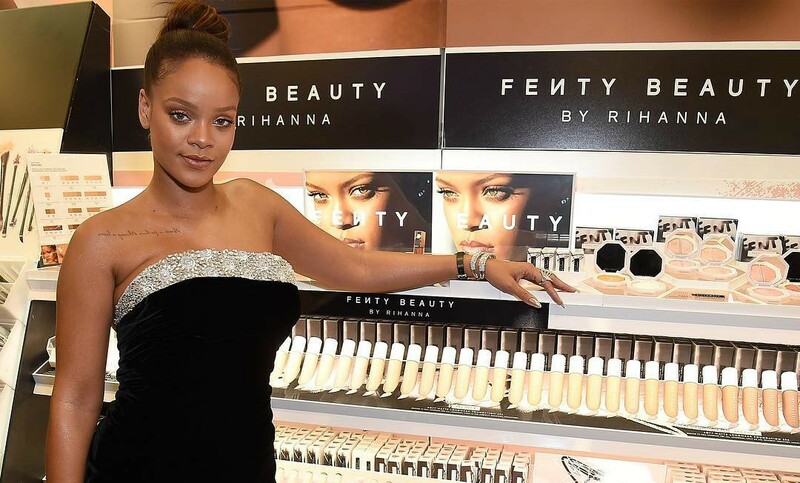 Developed “for women of all shades, personalities, attitudes, cultures, and races,” Rihanna is filling that void in the makeup industry that largely still sees Black girls as one of two shades: medium and dark. “I wanted everyone to feel included,” she states on Fenty Beauty’s new website. “That’s the real reason I made this line.” Besides a rack of foundations, this collection also boasts lip gloss (Gloss Bomb), highlighters (Killawatt), contour sticks and cosmetic brushes and sponges. Before making your selections, peep the Fenty Face tab, where you can find step-by-step directions on how to rock your own Rihanna-inspired look — there are even a variety of other beat faces in several shades that list all the goods you need. TBH, we’re about four, five seconds from buyin’ everything. But, since we’re not quite ballin’ bigger than Lebron, we’ll settle for a haul of gloss, foundation, and highlighter — you know, the basics.